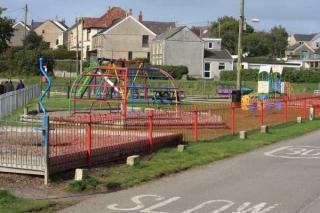 Area with childrens play equipment. Off Forge Road / Chapel Road, Crofty. Next to the bridge over the River Morlais.